India. The thought of it creates such vivid images of gods, curry, and poverty. To me, it’s been home every summer for the past twenty years. While I live in Kolkata (previously known as Calcutta), I have traveled a little through the country—the Taj Mahal, Jaipur, New Delhi, Darjeeling. 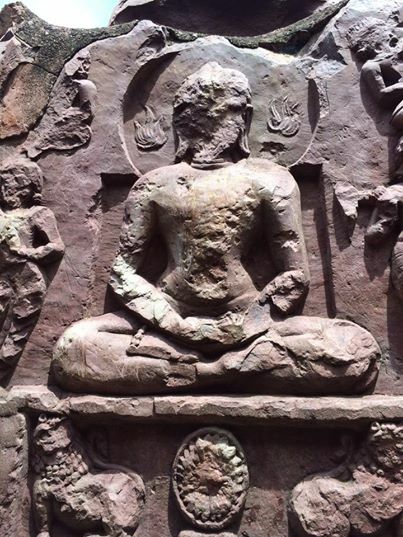 This year my family and I went to Bodhgaya, the place where the Buddha attained enlightenment. 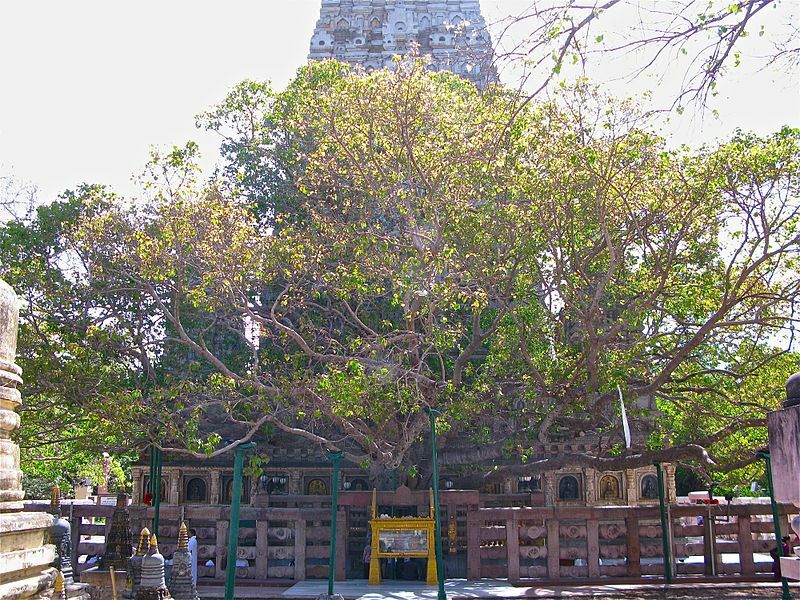 I sat with the monks under a peepal tree in the silence just yards away from the tree where the Buddha sat. Magic! There is no other word for what I felt there. It was magic, pure and simple. Simple being the key word, of course, because it is through simplicity, through releasing everything that one is that the Buddha attained enlightenment. He tried so many different things—starvation, learning to control his body so that he needed to only breath once in five minutes or less. But in the end, he realized that it was the self that one had to give up. And so under that tree, in the presence of my family, monks, tourists and a woman dressed all in white silently repeating a mantra over and over, I thought of nothing but the silence. I felt the magic. It flowed all around me. It came from the people. From the place. From the heat of the day. It was a tangible sensation. I only needed to reach out and grab it. But of course, it’s a slippery thing, not easily grasped. So many people have written about the magic of the Hindu gods. They are truly awe inspiring with the intense battle and equally intense loves. But the magic of silence. Of Nothing. Now that would be something to write about! I imagine it would be like writing about the love between two people. That magic time that two people share when they are in love and want to do nothing but stare into each other’s eyes and lay in each other’s arms. But it’s a holy love and the ultimate in peace. If a writer could capture that, it would be magic indeed. Perhaps someday I’ll try. In the meantime, if you want to read more about Calcutta during the time of the Raj, my Regency romance, An Exotic Heir, takes you for a journey through that fascinating time and place. It has no magic in it other than that between a man and a woman, but you might enjoy it nonetheless. Available at Amazon, Barnes & Noble, Apple and on Google Play. Thanks so much for commenting, Alda! I’m really glad you enjoyed the post and hope that your roommate has a chance to pop over and read it too! It was quite an experience, as you can tell!